Gapture’s CEO, Stanley Chee, was recently being interviewed by Weng Sheng, editor of The Peak magazine. Here is the digital copy of the article. So in 2002, Chee joined venture with his two brothers to create Offgamers, an online platform that served gamers by selling digital currencies, items and products. While Offgamers performed well from the get go, it wasn’t until 2006 that Chee saw an opportunity to truly make a cornerstone change. “One of our managers decided to use [Google AdWords] that year, and we saw our sales double overnight,” recounts Chee. “So we invested a lot into understanding online marketing strategies through social media and [Google AdWords].” This ultimately resulted in Chee starting up Gapture, an online media and advertising agency, in 2011. 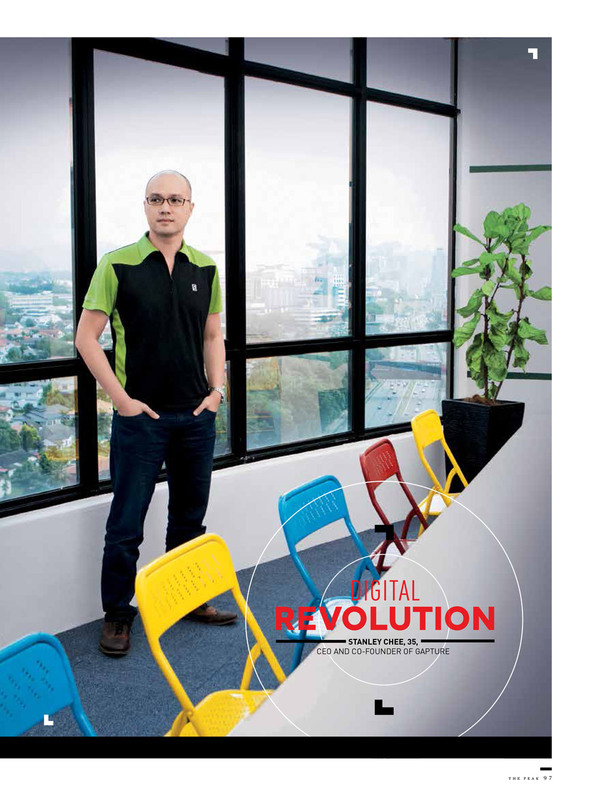 “We decided to monetise on our knowledge and experience in online marketing with Gapture,” explains Chee.